Can Bournemouth Break The Hoodoo Of Goodison Park? It’s back to the bread and butter games of the Premier League after our exit again from the early stages of the FA Cup against Brighton at Dean Court. The Cherries make the journey up to Merseyside to meet Everton, this will be the second time these two sides have met this season. The Everton manager Marco Silva has a good record against Eddie Howe so far. In his short time as both Hull City manager and Watford manager in the Premier League, his sides beat AFCB. First, at Hull C, his side won 3-1 at the Hull City Stadium. Silva then became the Watford manager and in only his second game in charge and first away game, his side travelled to Dean Court to play the Cherries, Watford won 0-2. He then took over at Everton at the beginning of this season, again at Dean Court in August and his third game in charge, his side drew 2-2 against the Cherries. Our game against Everton last August at Dean Court, which was both clubs third game and the last league game of the month. The game that had two red cards shown, one to each side, the first to go was Richarlison for Everton a few minutes before half-time which ended goalless. Everton took the lead in the second half through Walcott and five minutes later Adam Smith was sent off for AFCB. Five minutes later Everton were two goals up through Keane and looked to be coasting to victory. The AFCB players had other ideas and hit back nine minutes later via the penalty spot where King narrowed the deficit. Four minutes later Ake equalised for the Cherries and that was how the game finished. In September Everton had two games at home. They drew the first against Huddersfield Town 1-1 and lost 1-3 against West Ham in the second game. The last two games of the month were away against Arsenal which they lost 2-0. The next game was at home and they beat Fulham 3-0. October started with a visit to Leicester City, Everton went home with 3 points winning 1-2. The next game was at home against Crystal Palace, Everton won 2-0. It was back on the road for the short trip to Old Trafford to face Manchester United, Everton lost 2-1. November was a good month for Everton, in their three games, they took 7 points. At home, they beat Brighton 3-1. Drew away at Stamford Bridge against Chelsea 0-0 and then beat Cardiff back at Goodison Park 1-0. Everton then went into the busy December period with 7 league games. They lost 1-0 at Anfield in the local Derby against Liverpool. Then they had two home games, drew 1-1 with Newcastle United. And also drew 2-2 against Watford. Then it was a short trip to Manchester to play City, Everton lost 3-1. Next game was back home and Everton had a heavy defeat 2-6 by Spurs. Burnley away was next, after Everton’s recent heavy defeat, they took it out on Burnley by thrashing them 1-5. Last game after a busy month was the long trip South to face Brighton, Everton lost 1-0. Into the New Year and Everton started it with a home defeat 0-1 against Leicester. Don’t want to paint a gloomy picture before our team visit Goodison Park, but our team have never won there in any competition. Lost all our games there so far in the Premier League and lost on their ground in the League Cup and FA Cup. But as they say, there is always the first time for everything! Both sides who have not been in the best of form, are equal on 27 points, with Everton 11th and AFCB 12th in the table. The Cherries record in the Premier League at Goodison Park. 2015-16 lost 2-1. 2016-17 lost 6-3. 2017-18 lost 2-1. In all competitions, AFCB have Won 2, Drawn 2, Lost 7. It appears Everton have a clean bill of health going into this game. Gylfi Sigurdsson, strong all-round player, good at set-pieces and can score goals. The other player and their leading scorer and the player who was sent off at Dean Court in August, Richarlison. The Brazilian is Everton’s leading scorer with 9 goals and will be someone our defence will need to keep a tight hold of. 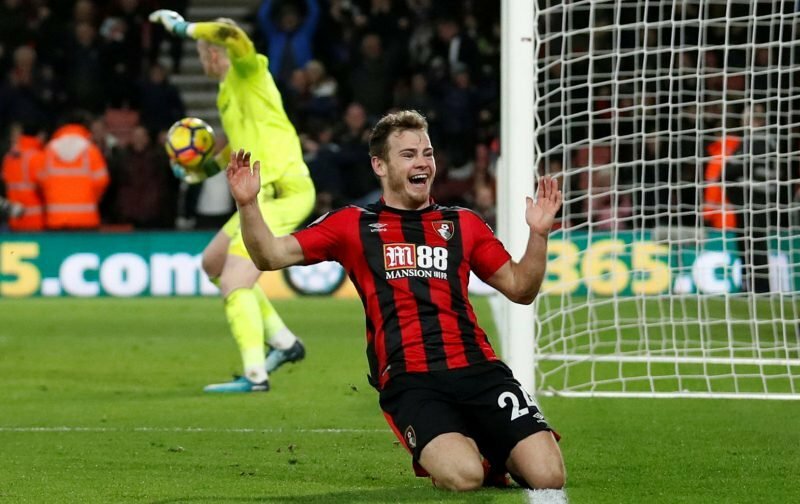 Josh King who was ill for the Brighton cup game is to have a late fitness test, also battling injuries to be available for Sunday are Ryan Fraser and Callum Wilson. Dan Gosling was another player who missed the cup game through injury. Nathaniel Clyne who probably will start after having a good home debut against Brighton, although not fully match fit. He will be returning for his first PL game for AFCB, to the blue side of Liverpool and Goodison Park to play Everton, where I expect he will get a ‘warm’ welcome. Be interesting to see how he performs. If fit, Callum Wilson, who has been subject to transfer speculation, will it be his last game for the Cherries? Anthony Taylor is the referee. We had him at two away games this season, Burnley in the Premier League and Chelsea in the League Cup. Should be a decent game as always when we play Everton and one that is difficult to call. It is important that we gain some form back to ease some of the grey clouds that have been seen hovering over us! I guess Eddie will be hoping for some good news in terms of players fitness and availability with key players like Wilson and Fraser being able to play a part in the match? Let’s hope for some new year cheer and bagging the points at a place where we normally get nothing! – Join the conversation, click here.